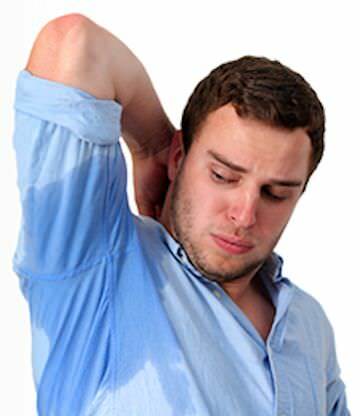 Hyperhidrosis, or excess sweating, is said to affect 3% of the population. Those affected by this embarrassing and disabling condition are often constantly aware of their symptoms, and this can significantly inhibit them in their personal and professional lives. As a practitioner, during a consultation regarding hyperhidrosis, I ask my patients to complete a Dermatology Life Quality Index assessment, which is an aid to determining just how much of an effect the condition is having on a person’s day to day activities. In some patients, excess sweating is not just limited to the underarm area – other commonly affected areas include the palms, the feet, the groin, the face, the scalp and even the area underneath the breasts. For those who find regular antiperspirants just not strong enough, there are specialist spray or roll-on products available over-the-counter, which contain aluminium chloride salts, for example Driclor and Triple Dry. However, these can irritate the skin, or still may not be strong enough, which means that they’re not suitable for everyone. Your family doctor can also prescribe medicated antiperspirants, or oral medication, but again these won’t be right for everyone. If the above have not been successful in alleviating symptoms, then injections of Botox® can be the solution for many patients. This is an effective and licensed treatment for axillae (armpit) sweating. Botox® blocks the transmission of nerve impulses to the sweat glands, and this eliminates the production of sweat in the treated area. Treatment typically works within a few days, and patients get fantastic relief for 4-7 months (or much longer on occasions). Botox injections can also be used to treat excess sweating in other body areas, although this is off license and therefore less well researched. There are several other treatment options and I would always encourage any patient to find out about all potential treatments before coming to a decision. For further information I recommend patients take a look at the International Hyperhidrosis Society website. This is a non-profit organisation which has a wealth of resources on hyperhidrosis. Because excess sweating often starts in childhood they have even created an award winning web site just for teenagers – take a look here. Costs for treatment vary according to the number of areas to be treated, but a typical charge for axillary (armpit) hyperhidrosis would be £425 (for both armpits). Although we generally offer free initial consultations, this is not the case with those attending to discuss hyperhidrosis. Consultations for this condition involve assessment of your history and a discussion regarding other treatment options, along with details relating to Botox treatment. For this reason we make a charge of £75 for a 25 minute hyperhidrosis consultation, though this is offset against treatment charges should you proceed at a later date. This initial consultation can be undertaken over the telephone, by arrangement, if this would be more convenient. Although we have a dedicated page for general client testimonials, below you will see comments from a patient I have treated for hyperhidrosis. Click on the extract to see the comments in full. I have been visiting Bright New Me for a number of years now for Botox treatment to my underarms. I had suffered from hyperhidrosis for a long time, with no success using topical treatments. I made an appointment with BNM to have the Botox injections. I was a little apprehensive before the first treatment but Sarah was very professional and explained everything thoroughly before the procedure. The injections did not hurt as I imagined they might and the effects were almost instant. My sweating stops completely for 6-8 months after each treatment. I would definitely recommend to anyone who is contemplating the procedure. 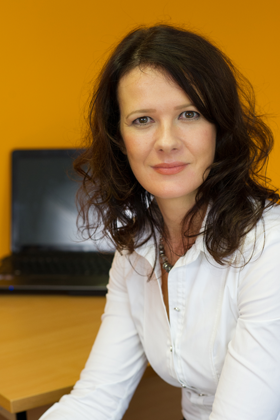 If you are interested in our services and would like to know more, simply contact our admin team on 0161 928 2210 to arrange your free, no-obligation consultation with Sarah. Alternatively, email info@brightnewme.co.uk, and we’ll get back to you as soon as we can.